We looked at the top 11 Drones and dug through the reviews from 83 of the most popular review sites including Trusted Reviews, New York Times Wirecutter, Tom's Guide, CNET, Digital Trends, Best Products and more. The result is a ranking of the best Drones. Our experts reviewed the top 11 Drones and also dug through the reviews from 83 of the most popular review sites including Trusted Reviews, New York Times Wirecutter, Tom's Guide, CNET, Digital Trends, Best Products and more. The result is a ranking of the best of the best Drones. The DJI Mavic Air is a great drone for pilots who want 4K-resolution video in a portable format. You'll be able to capture high-quality photos and video and easily share them on social media. The app gives you all the control you need to adjust the camera as you're flying, and you'll average 15 to 18 minutes of flying time before you'll need to charge the battery. DWYM Electronics Experts plus BestReviews, Trusted Reviews, Tom’s Guide, CNET, Digital Trends, Wired and 3 more. Along with user reviews from Amazon, Best Buy and Target.
" Deliver 4K images and its speedy, it can fly to 42 mph. Portable and easy to fly and control." "Annoyingly, though, going between the two control methods required re-linking the drone to the remote control, which makes it far less convenient for when you want to go back to more nuanced controls." The DJI Spark's obstacle avoidance feature keeps your drone safe as it navigates around. Although it doesn't feature 4K video, you'll be able to capture decent-quality images and video, making it a great drone for hobbyists. Gesture control makes controlling navigation fun and easy, but that feature can be buggy at times, so bring plenty of patience. Overall, a great drone for the price. DWYM Electronics Experts plus Trusted Reviews, New York Times Wirecutter, Tom’s Guide, CNET, Digital Trends, Best Products and 3 more. Along with user reviews from Amazon, Walmart and Best Buy.
" The Spark is incredibly light, though, at about half the weight of the Mavic Pro. It’s so light I kept thinking I’d forgotten to pack it inside its case because you can barely feel the weight of it. You can..."
"The app provides a 720p FPV live view on a smartphone or tablet, which works well at a range of up to 109 yards, but lacks the video quality and reliability of the OcuSync system found on the Mavic Pro..."
The high price puts this drone under scrutiny when compared to others in its range. But the reliability and performance put it above all others, as well. If you're looking for a drone that includes plenty of flight modes and top-quality obstacle avoidance, this is the drone for you. DWYM Electronics Experts plus BestReviews, Tom’s Guide, CNET, Digital Trends, Wired, New York Times Wirecutter and 3 more. Along with user reviews from Amazon, Walmart and Best Buy.
" With unmatched performance and overall reliability, it's no surprise that this is one of the top sellers in its category." "Collision avoidance is not foolproof. Some modes disable collision avoidance. Flight modes are confusing. Occasionally catches sight of itself in video. Expensive." This low-priced drone is ideal for the beginner pilot. The joystick is flexible enough to correct for sudden movements, so you'll be able to learn to navigate without costly accidents. Although you won't get the advanced features and high-quality video of much more expensive models, this is a great drone for the novice. DWYM Electronics Experts plus BestReviews, Tech Gear Lab and 2 more. Along with user reviews from Amazon.
" It's high capacity battery and multi-channel function separate this copter from the rest. You get a lot of features for the price." "We wouldn't fly this drone on anything but a very calm day. It also does not have a headless flight mode." We identified the majority of the drones available to purchase. 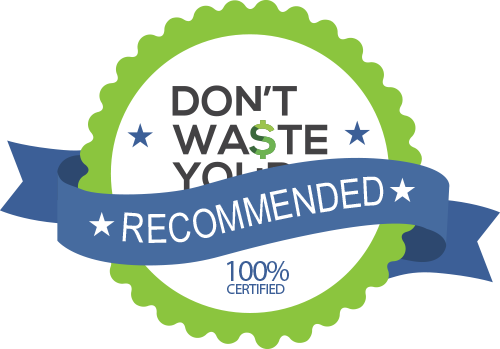 Reviews from our DWYM category experts and analysis of some of the most respected sources including: Trusted Reviews, New York Times Wirecutter, Tom's Guide, CNET, Digital Trends. Deliver 4K images and its speedy, it can fly to 42 mph. Portable and easy to fly and control. The Mavic Air was an incredibly easy drone to fly. It hovers well in all but very strong wind gusts (the app will warn you if it's too windy) and zips around effortlessly. The DJI Mavic Air's folding design makes it great for travel while its 4K-resolution camera and three-axis gimbal capture nice-looking photos and video. Automated shooting options and obstacle avoidance make it easy to get good results fast. The Mavic Air also sports a 4K camera capable of shooting UHD video and 12 megapixel stills. The thumbsticks are now removable and can be stored under the arms that hold your phone. This makes it much easier to stow the remote in the Air’s included bag. Flight times per change could be longer. Annoyingly, though, going between the two control methods required re-linking the drone to the remote control, which makes it far less convenient for when you want to go back to more nuanced controls. Flight time is typically between 15 to 18 minutes, so expect to buy extra batteries. Piloting by app can be frustrating, especially on smaller screens. Obstacle avoidance doesn't cover you from the sides or top. Expensive and relatively short battery life. It's high capacity battery and multi-channel function separate this copter from the rest. You get a lot of features for the price. The joysticks seem to be a bit more friendly towards sudden movements than other models, so a panicked overcorrection won't send it careening into a tree. Affordable drone with above average flight time and control distance for it's price range. Built of ABS elastic plastic that should not break if you crash it from low/medium altitude. Camera is handy and extra battery in package is always a plus. In conclusion of our Holy Stone Ff181 review, we need to say that this drone model is a great start for any beginner. It doesn't fly well in windy conditions. We wouldn't fly this drone on anything but a very calm day. It also does not have a headless flight mode. Camera doesn't have FPV. Which means you're not able to see live feed from camera on your controller or smartphone app. This isn't reason not to buy this drone in my opinion. However, when wanting to buy a drone with a great camera, we recommend sticking with DJI or Parrot rather than Holy Stone. Overall, the F181’s camera is decent, but you will find the photo/video quality a little frustrating. Though their development dates back to World War I, drones — also referred to as unmanned aerial vehicles — have become increasingly popular in recent years. These small gadgets fly through the air without an onboard pilot. Instead, they’re steered and controlled by a user from the ground, often with a remote control or a smartphone app. Drones are useful for a number of tasks, including surveillance, security, aerial photography, surveying and recreation. More recently, police departments and emergency services personnel have been using them for an array of tasks, including during searches, rescue operations and natural disasters. Many commercial businesses like Amazon, UPS and Domino’s are considering how to use drones for day-to-day operations like package delivery. Drones are also useful for crop management, building inspections and storm tracking. The distance your drone can fly varies from model to model, depending largely on battery life and the reach of its on-board receiver from the remote controller or your smartphone. Although most drones will offer very little in terms of battery life, you can get more from some models than others. It’s also important to pay close attention to charging time since a quick charge can get your drone up and going faster. In addition, some drones come pre-equipped with a camera, while others require the use of a gimbal to manually mount a camera. The gimbal setup often leads to a clearer picture or smoother video capture because the camera is a bit farther away from the vibrations caused by the rotors. Photography has become a top selling point for drones. Professional photographers have found them invaluable for capturing those otherwise hard-to-get aerial shots. If you’re interested in shooting photos or video from the clouds, know this up front and look for a model that supports high-resolution photography and high-definition video. Editing is also a consideration. Some apps are better than others at this, including filters and sharing capabilities. Whether you’re a photography hobbyist or not, being able to easily share the images you’ve shot across your social media sites may make some drones better choices than others. Before you start shopping, it may help to set a budget. Drones can range in price from $100 to more than $1,000. While the higher-priced drones do offer advanced features, if you’re just looking to have a little fun, you may be fine with a more basic model. The Federal Aviation Administration is the government body responsible for regulating drones. According to the rules, you’ll need to register your done and be sure to keep it below 400 feet off the ground. You’re also not allowed to fly over stadiums, large groups, events or anywhere near emergencies (which seems like it should be a no-brainer!). Laws can vary from one jurisdiction to the next, so check before you start flying. In addition to legal concerns, there are also some privacy issues associated with drones. If you’re flying your camera-equipped drone over neighbors’ homes, for instance, you may find you get complaints, especially if they’re trying to enjoy some private time in their own back yard. You may even get into legal hot water if you’re posting photos and video of your neighbors online without their permission. Before purchasing a drone, consider your skill and commitment level. Some are labeled “ready to fly,” meaning they require very little or no special training to use. Others are designed for more advanced users. Another factor to consider when it comes to drones is portability and design, especially if you’re short on storage space at home or plan on taking it with you on a trip and won’t have a lot of room. The DJI Mavic Air folds up, with the thumbsticks able to be stored under the arms that hold your phone. The DJI Spark, on the other hand, doesn’t fold easily but is so small and lightweight, it’s still fairly portable. The only issue is that the arms don’t fold into its body, so you may worry about breaking the rotors if you don’t transport it in its carrying case. The DJI Phantom 4 Pro is even less portable, since the landing gear and camera are attached to the body, making it not collapsible. Because drones operate using a battery, it’s important to consider battery life when making a purchasing decision. The majority of consumer drones have a battery life between 5 and 25 minutes. Many drone users recommend purchasing spare batteries and having them charged up before you start flying so you can easily swap out the extras. The DJ Mavic Air flies a little longer than usual without a charge, at 15 to 18 minutes. The DJI Spark has a shorter flying time between charges and, unfortunately, charging time takes a while, so be prepared to be patient. The most popular type of drone among recreational users is a multirotor drone. A drone with three rotors is known as a tricopter, while a drone with four rotors (an extremely popular model) is called a quadcopter. Other types of drones include fixed-wing drones and single rotor helicopters. Depending on what you plan to use your new drone for, you’ll also want to consider the payload of various models. Some are equipped to carry heavier payloads than others. This may be an important factor if you’re considering using your drone for something like aerial photography or videography. One of the biggest issues with drones is maneuverability. If it’s a windy day, you need a drone that isn’t going to be easily blown around. The DJI Mavic Air holds its own against all but the strongest wind gusts, while many other drones struggle even in the lightest breezes. Best of all, if it’s too windy, you’ll get a warning in the app. If you’re new to drones, you may prefer the Holy Stone F181W. The joysticks aren’t quite as sensitive to sudden movements, so it’s a great model to help you learn to navigate. Another model to consider as a newbie is the DJI Spark, which has intelligent flight modes to help you gain confidence in avoiding obstacles. It will also return to home and land itself if you can’t. For some, aerial photography is the primary reason for purchasing a drone. If photography is your goal, you’ll likely veer toward the DJI Phantom 4 Pro, which shoots smooth 4K video. The DJI Mavic Air also excels in this area, offering 4K images and UHD-quality video. It also has a wider-angle lens that can more easily capture landscapes. The DJI drones have gimbals, which hold the camera in place for a smoother shot. This is especially important if you plan to be capturing video during even moderately windy conditions. As advanced as drones are, they do have their limitations. If you think you’ll feel the need to zip through the air, you may want to steer toward the DJI Mavic Air, which boasts speeds of up to 42 mph. But the DJ Phantom 4 Pro has a sport mode that lets you go fairly fast. You may find your drone a little harder to control at these speeds, though. Unless you plan to just fly your drone in your living room, you’ll need a decent range for your drone-to-remote connection. DJI Spark includes an app that offers 720p live view on your smartphone or tablet, but that will only work for up to 109 yards. You can buy a separate remote control that will keep your video going at ranges of up to 1.24 miles. As you’re flying your drone around, you’ll occasionally encounter obstacles like trees and telephone poles. Instead of relying solely on the app, with some drones you have the built-in safety of obstacle detection and avoidance. DJI’s drones excel in this area, with the DJI Phantom 4 Pro offering five-direction avoidance. The DJI Mavic Air has avoidance, but it doesn’t cover your drone from the sides or top. DJI Spark has Active Track mode, which automatically detects obstacles and tracks them. However, it’s not foolproof. In many instances you’ll find that drones are only able to see things in front of the drone. Drone pilots rely heavily on the remote. The DJI Mavic Air gives you an app that you can use to adjust exposure, shutter speed and other factors. The DJI Phantom 4 Pro has an easy-to-use app, but if you want a touchscreen controller instead, it will be a $300 add on. The DJI Spark offers gesture controls, which can make navigating easier. However, this feature can be bug-prone, with the app not always recognizing you. If you’re planning to shoot video to share with friends, DJI’s app makes it easy to both edit and share the video you’ve just captured on social media. There are also built-in filters and templates to add that special touch. Price may be one of the biggest differentiators among drones. At the high end of pricing is the DJI Phantom 4 Pro, which retails in the $1,000 range. The DJ Mavic Air is also quite pricey, at more than $700. You can get the DJ Spark for less than $500, though. The Holy Stone’s low price is another reason this model is good for beginners, since it ranges around $100. For the Drone category, we analyzed 83 of the most popular reviews including reviews from Trusted Reviews, New York Times Wirecutter, Tom's Guide, CNET, Digital Trends, Best Products and more. The result is a ranking of the best Drones.